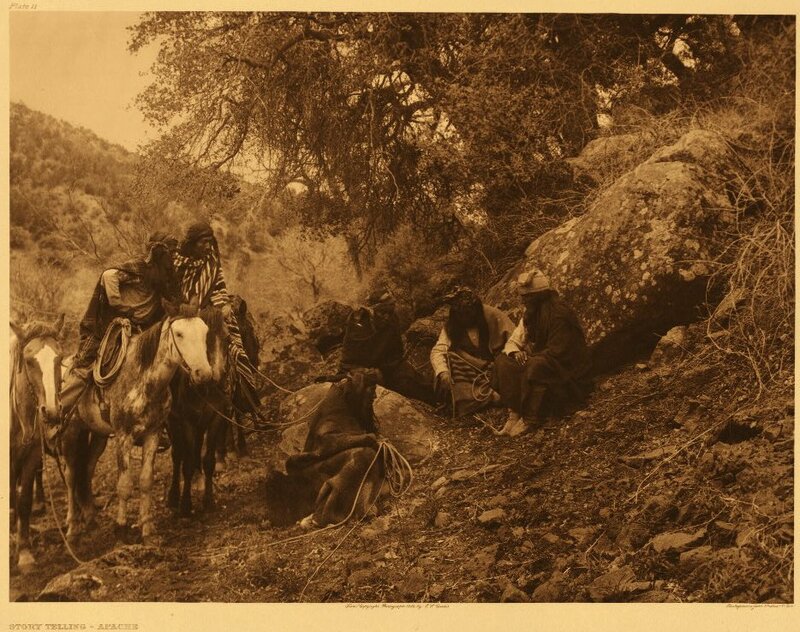 Immediate Download of this Classic American Indian Art by Edward Curtis. 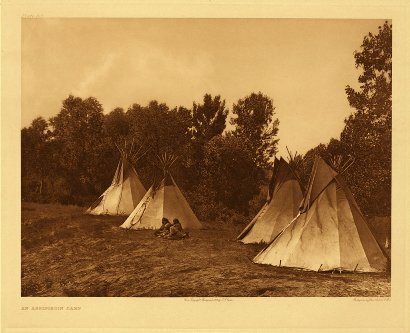 Turn of the 20th Century images of Native Americans living the way they once did. Feel the culture of the times. Perfect for the historian, the student, or the lover of American Indian History! Digitally captured for your eternal collection! 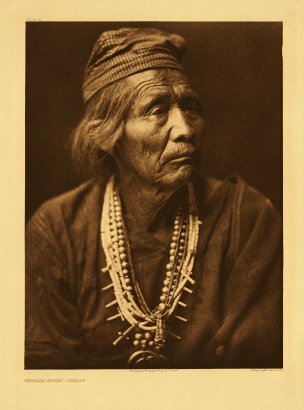 The North American Indian by Edward S. Curtis is one of the most significant and controversial representations of traditional American Indian culture ever produced. Issued in a limited edition from 1907-1930, the publication continues to exert a major influence on the image of Indians in popular culture. Curtis said he wanted to document "the old time Indian, his dress, his ceremonies, his life and manners." 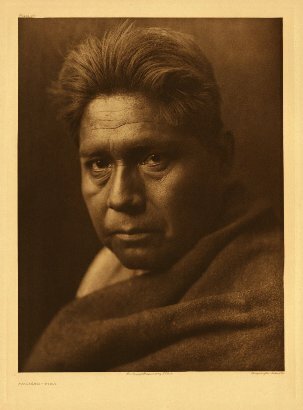 In over 2000 photogravure plates and narrative, Curtis portrayed the traditional customs and lifeways of eighty Indian tribes. The twenty volumes, each with an accompanying portfolio, are organized by tribes and culture areas encompassing the Great Plains, Great Basin, Plateau Region, Southwest, California, Pacific Northwest, and Alaska. Featured here are all of the published photogravure images including over 1500 illustrations bound in the text volumes, along with over 700 portfolio plates. 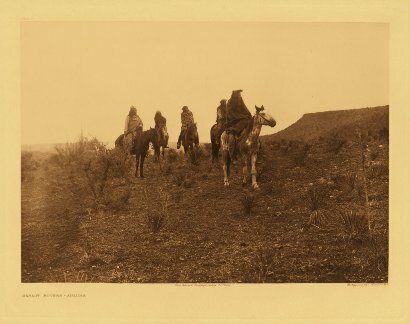 This digital collection presents the 2228 illustrations from The North American Indian by Edward S. Curtis. Many of the striking images from The North American Indian have been reproduced widely, especially since the 1970s. 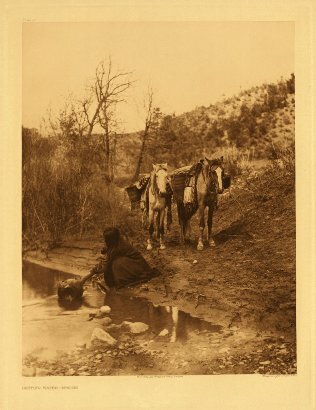 While there is controversy about how Curtis romanticized American Indian culture, the intention of this digital collection is to present all of the published images in their entirety, with comprehensive identifying data including plate numbering, dimensions, and the original captions by Curtis. 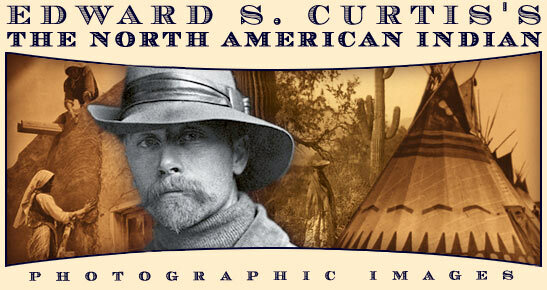 It is hoped that the viewer may get a sense of the content of the rare original volumes, in order to develop an informed understanding of Curtis and his project. 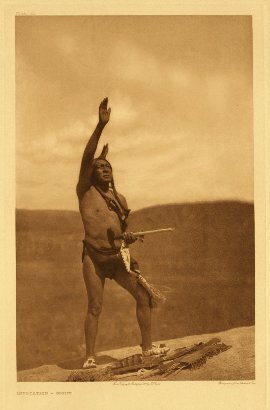 The North American Indian (1907-1930), by Edward S. Curtis, was published in a limited edition and sold by subscription. The lavishly illustrated volumes were printed on the finest paper and bound in expensive leather, making the price prohibitive for all but the most avid collectors and libraries. Subscriptions sold for about $3,000 in 1907; the price rose to about $4,200 by 1924. Although the plan was to sell 500 sets, it appears that Curtis secured only about 220 subscriptions over the course of the project. In 1935 the assets of the project were liquidated, and the remaining materials were sold to the Charles Lauriat Company , a rare book dealer in Boston. 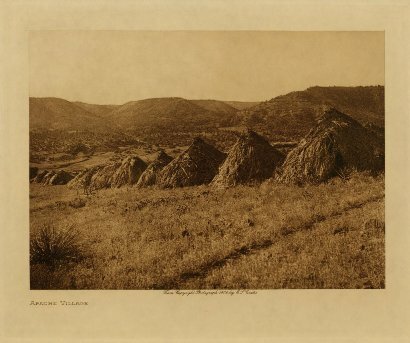 Lauriat acquired nineteen unsold sets of The North American Indian, thousands of individual prints, sheets of unbound paper, and the handmade copper photogravure plates. 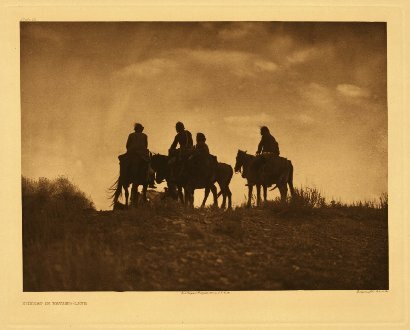 They lay forgotten in the bookstore's basement until their rediscovery in the 1970s, which marked the revival of interest in Curtis' haunting images of American Indians. The set owned by Northwestern was donated by J.P. Morgan, Curtis' sponsor. It consists of twenty volumes in original bindings containing text and illustrations and twenty portfolios of individual plates reproduced by the photogravure process. Each volume measures 12 inches high, 10 inches wide and about 3 2/5 inches thick. Each is bound in half leather, that is, the spine and the four corners of the front and back covers are covered in a high quality brown Levant morocco leather. The covers themselves are laminated binders board; the central panel on each board is covered with a heavy tan cloth. The text block within each volume measures 11 inches high, 9 1/2 inches wide and 2 to 2 1/2 inches thick; the text itself occupies an area 8 1/8 inches high by 5 inches wide on each page. Each volume has in gold foil stamping on the spine a simple line decoration with the set's title at the top, the author, volume number in roman numerals, tribe(s) in the volume and the publication date of the volume at the foot of the spine. Volumes 1-14 were bound by H. Blackwell, while volumes 15-20 were bound by Whitman Bennett, NY, as indicated at the top of the front free flyleaf. 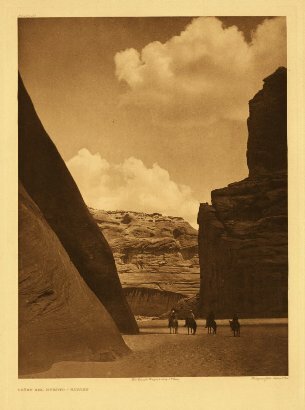 There are around 75 photogravure plates in each bound volume, with image sizes averaging 5 1/2 by 7 1/2 inches; each accompanying portfolio holds around 35 loose photogravure sheets, with image sizes averaging 12 by 16 inches. In total, there are 1506 plates in the bound volumes and 722 plates in the portfolios, for a total of 2228 plates. This download high quality scans of the collection in its entirety. The only software you need to view this collection is a jpg viewer, which should already be on your computer. This hard to find volume is perfect for those looking to take a peek into the lives of American Indians at the turn of the 20th century. There is no need to wait for a snail mail delivery, as this download package is available to you immediately after you checkout!